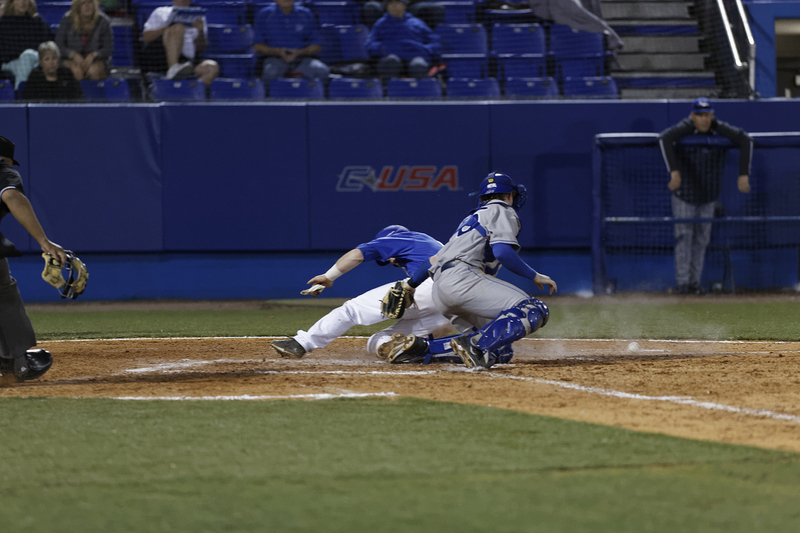 MTSU celebrated a victory over in-state rival Memphis tonight in a 4-0 victory. Photo by Greg French. 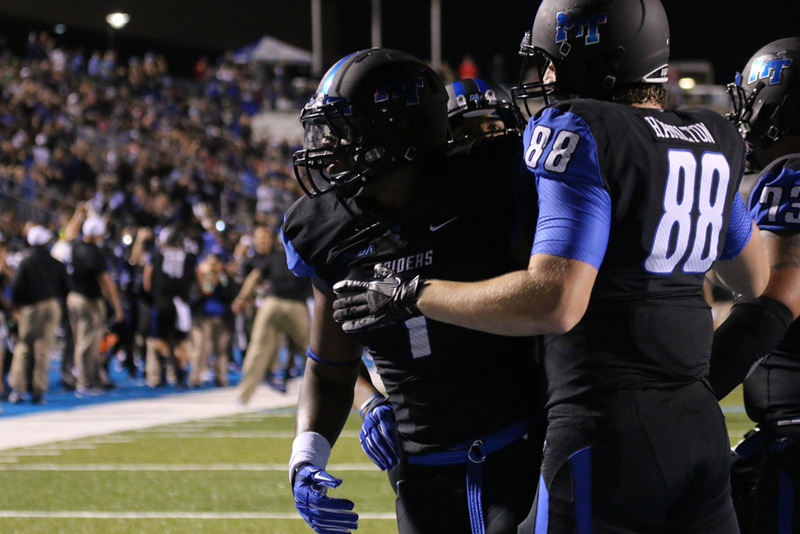 The 13-15 MTSU Blue Raiders did battle against the 17-12 Memphis Tigers on Wednesday. 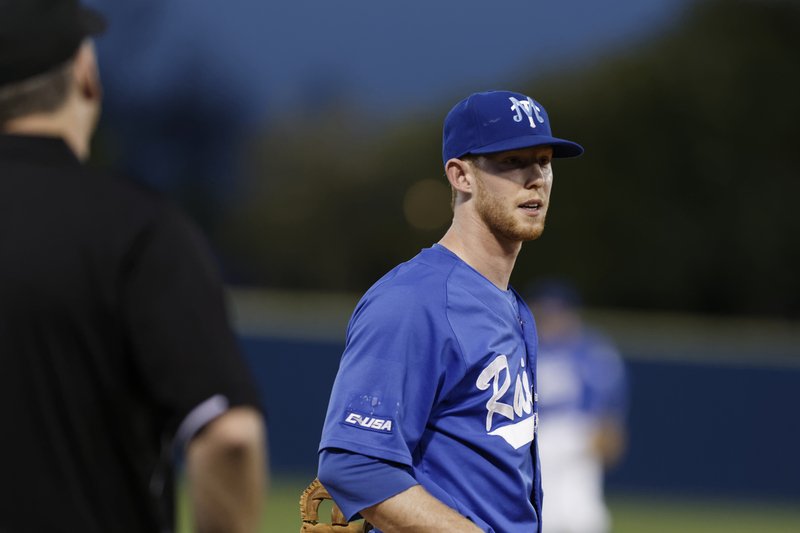 A five-run fourth inning would pave the way for the win for Memphis, even though the Blue Raiders had the lead for the first three innings. After a Hank LaRue walk in the first inning, Jared Allen stepped up to the plate. 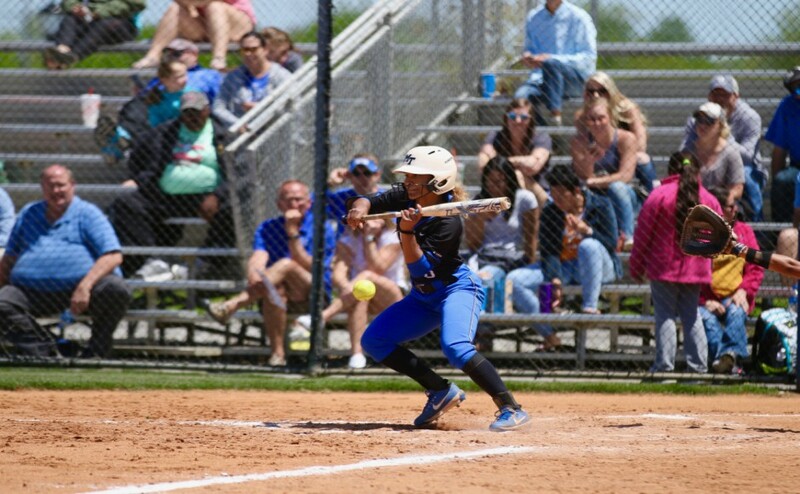 Allen blasted a home run over the left field and gave the Raiders the 2-0 lead. The home run was Allen’s fourth of the season, which is tied for the best on the team. 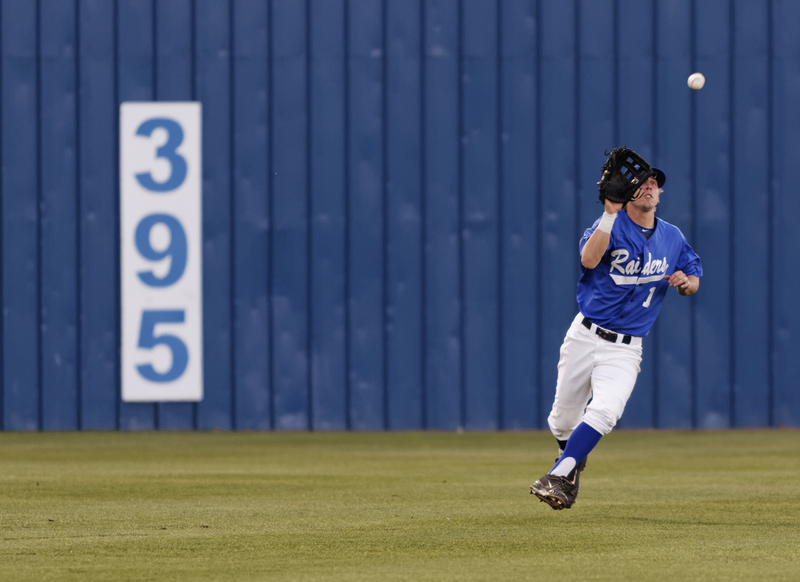 After two quiet innings, the top of the fourth rolled around, and Memphis’ offense turned on. They would score five runs in the fourth inning. 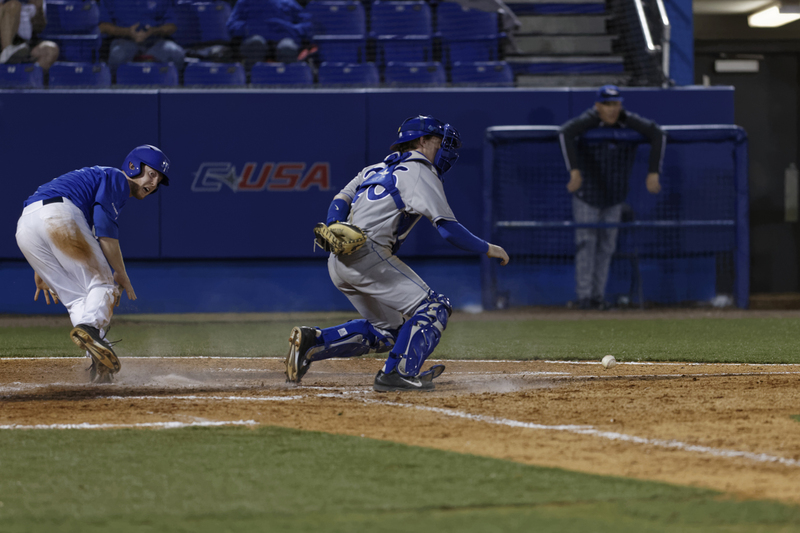 After a leadoff single, the Blue Raiders would surrender a wild pitch and a walk. After a runner scored and leading pitcher Nathan Foriest hit a batter, Caleb Smith came in to relieve Foriest. Foriest would finish the night with three innings pitched, two hits, and four runs, three of them earned. He also gave up four walks and had three strikeouts. Smith would relieve Foreiest for three innings. Smith would allow three hits, two runs (one earned), and two walks. The Tigers would score one run in the top of the fifth, which made the score 6-2. 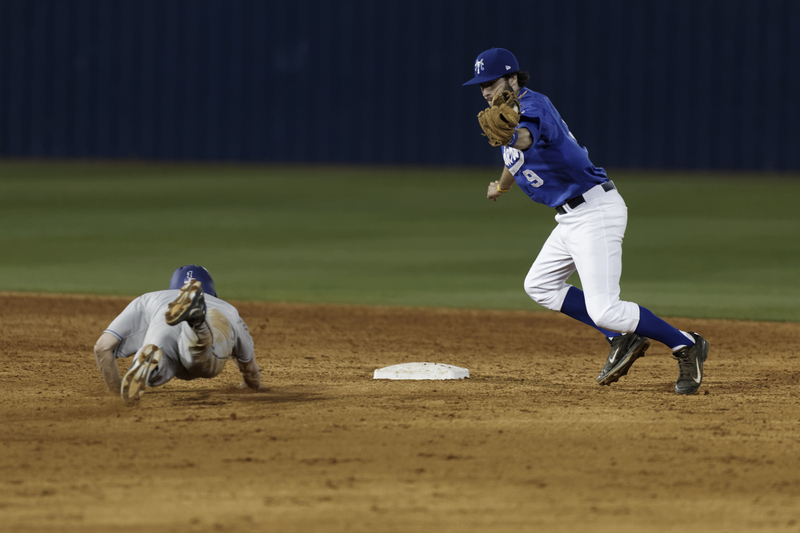 However, in the bottom of the sixth, the Blue Raiders would put up two runs, courtesy of Allen being hit by a pitch and Ryan Stephens smacking his first triple of the season. Stephens would later score on a wild pitch. None of the Blue Raiders had more than one hit in this game. Allen led the way for RBIs with two. Stephens had the other RBI. Foriester was saddled with the loss in this one. He is 0-4 on the season. Other pitchers who saw action tonight was Will Small for 1.1 innings, Brent Stockstill for .2 innings, Garrett Ring for .2 innings, and Cody Tollison recording the final out of the night. 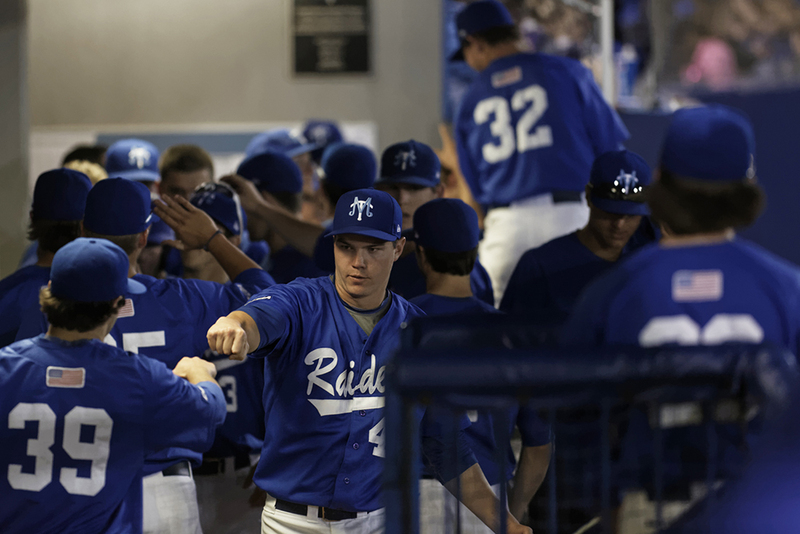 The Blue Raiders next series will be against Conference-USA foe Southern Miss on April 4-6. 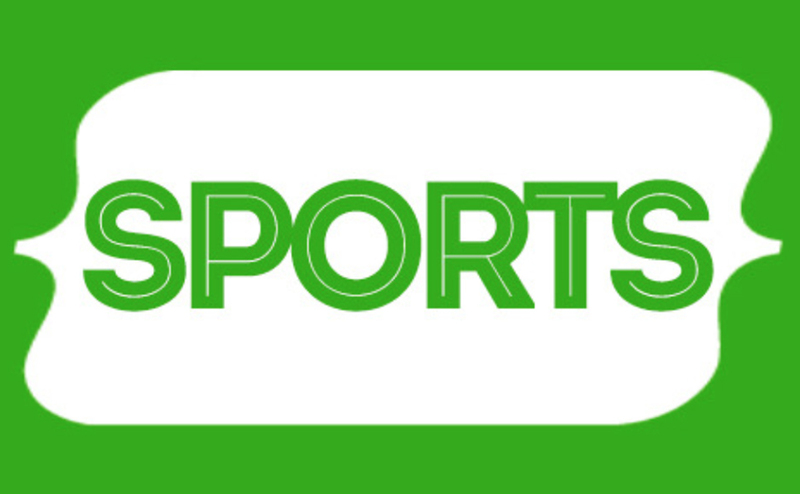 The games will begin in Hattiesburg at 6 p.m., 2 p.m. and 1:30 p.m., respectively.